IC itself has power balancing function. The circuit is simple and reliable. Typical voltage detection for each cell. Each battery will be prevented from over-charging or over-discharging. Over current and short circuit protection function is very reliable. 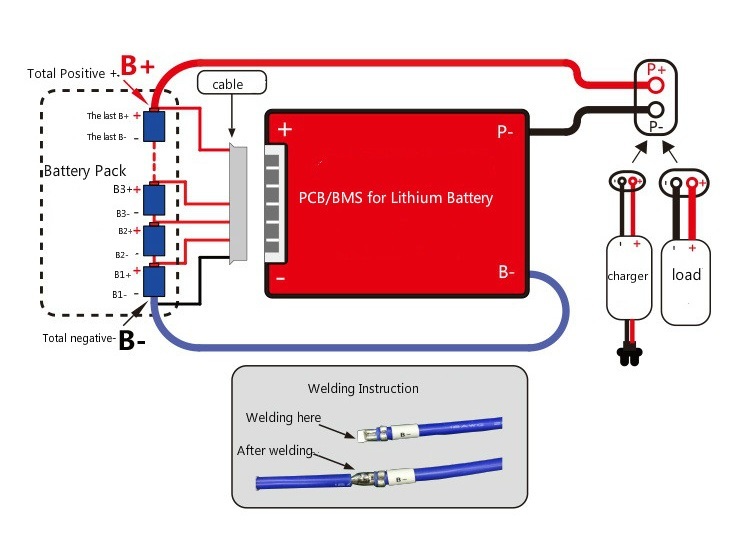 Long-time short-circuit of the load won’t affect the PCB and the battery. 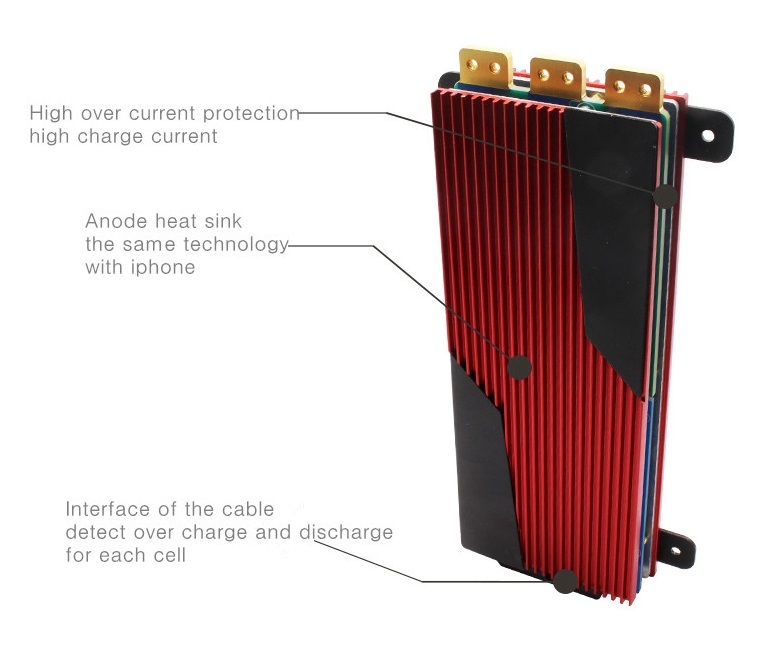 Temperature protection during charging and discharging. Extremely Low Power Consumption. The consumption of the whole device is less than 50uA. 1, Which current PCB should I use? Take a 13S 48V pack as an example: Which PCB you should use depends on the power of your motor or the current limitation of your controller. Below 350W, you can use 16A. Below 500W, you can use 18A, Below 800W, you can use 35A, Below 1KW, you can use 60A. Above 1200W, the same. If you are not sure, please contact us. 2, Can I use a bigger size of PCB than is indicated? Suppose you need 60A PCB but you chose 80A, that will work. 80A allows for a higher current. A bit higher price is the only drawback. But if you choose 50A, it will be too small. So you can use a higher spec but not a lower one than it should be. 3, What kind of charger should I choose? A Lithium Battery must be charged by a Lithium Battery Charger. You can’t charge it with a lead acid battery charger because the lead acid battery charger might damage the MOS pipe of the PCB. 4, if I have a PCB, do I need any balancers? Yes if you add QNBBM balancers, that will be perfect. 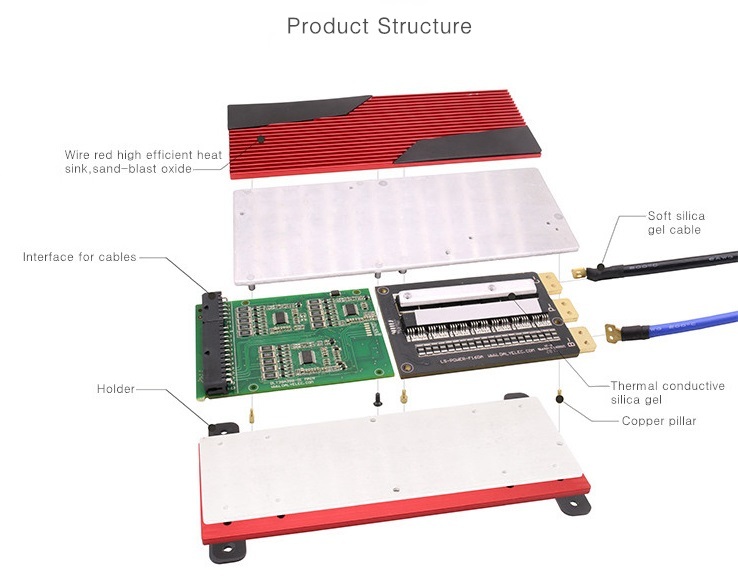 The Main function of the PCB is to prevent batteries from over-charging over-discharging, over-heating etc. With balancers added, the batteries lifespan will be longer and the capacity will get fully used. 5, How do I judge if my PCB is broken or not? If you’d like to judge if the PCB is fine or not, please use a multi-meter and see if the voltage of each cell is close to one other or not. When the voltage difference is 1V, the battery will have this kind of performance: the driving distance will be short, it will be cut off when started, the charging time will be very short. Under such a situation, a battery is defective. When the PCB is broken, the battery can’t be discharged. When you measure the battery voltage, it will be normal. 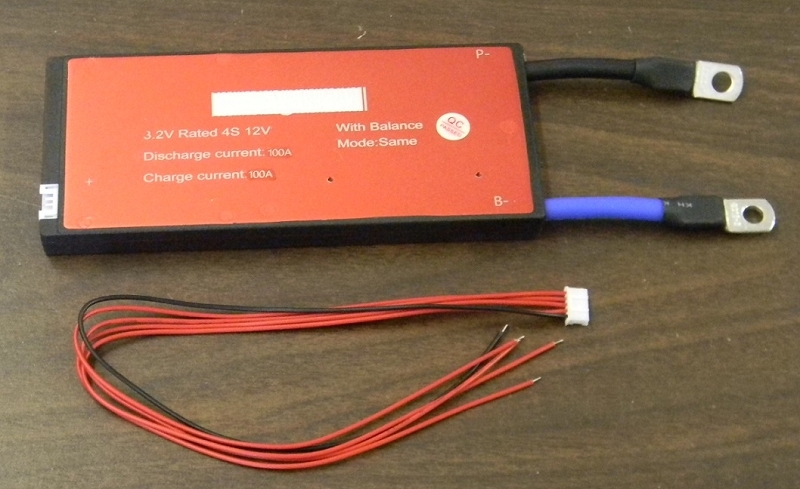 There are 2 ways to get an exact quote for the base shipping for your 12V 100A EV BMS (Battery Management System) order. We’ll research the exact shipping cost and send you an invoice to your PayPal or email or you can add it to your pallet in $1 Shipping Increments for your 12V 100A EV BMS (Battery Management System) order.